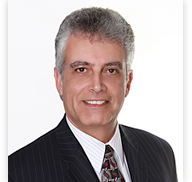 Joseph W. Pannone, a part-time contract Partner with the firm, has practiced municipal law for almost forty years. As of January 1, 2019, Mr. Pannone retired from serving as city attorney for the cities of Lompoc, after 9 years, and Morro Bay, after 4 years. He continues to assist those cities as special counsel on certain matters for Lompoc and for Morro Bay’s Harbor Department and Water Reclamation Facility, as well as other projects. He also continues to service the city of Culver City as special counsel. He was contract city attorney (i) for the City of Bellflower from January 2008 to October 2015 as well as Assistant City Attorney from 2003 through 2007, and General Counsel for that community’s redevelopment agency from 2005 through 2015 (ii) for the City of Baldwin Park from January 2008 to December 2013, as well as Assistant City Attorney from 2003 through 2007, and General Counsel for that community’s redevelopment agency from 2003 through 2013, (iii) for the City of Palos Verdes Estates from January 2008 to April 2010, and (iv) for the City of South Pasadena and General Counsel for that community’s redevelopment agency from September 1998 to September 2003. He was in-house City Attorney, as well as Deputy and Assistant City Attorney, for the City of Culver City from 1980 through 1989 (the year when he joined another public law firm). He has created and presented programs on personal and professional ethics to several professional organizations, including the League of California Cities' annual Planning Conference and City Attorney’s Department. Before Mr. Pannone retired, as Lompoc and Morro Bay’s city attorney, he was an Equity Partner with the Firm for 9 years. During his career, Mr. Pannone has advised city councils, successor/redevelopment agency boards, planning commissions, personnel boards and numerous other city-boards and commissions. He has experience with all aspects of municipal law, including the dissolution of redevelopment agencies, civil and criminal litigation, ordinance, resolution and contract preparation and interpretation, code enforcement, personnel matters, the Brown Act, Public Records Act, Political Reform Act, economic development, public works, municipal utilities, issuance of bonds, General Plan updates & amendments, administrative law and all land use matters. Mr. Pannone has been a featured speaker at several professional conferences. He published articles in the Los Angeles County Bar magazine, Los Angeles Lawyer, regarding “takings law” and ethical issues facing public sector attorneys. He was co-counsel in Ehrlich v. Culver City (1996) 12 Cal. 4th 854, in which the California Supreme Court upheld the authority of cities to impose public art programs and development conditions being challenged as unconstitutional takings. He was involved with Vela v. Superior Court (1989) 208 Cal. App. 3d 141, a California appellate case that established the attorney-client privilege for police department shooting incident reports.